The Tobwabba story is really the story of the original Worimi people from the Great Lakes region of coastal New South Wales, Australia. Before contact with settlers, their people extended from Port Stephens in the south to Forster/Tuncurry in the north and as far west as Gloucester. The Worimi is made up of several tribes; Buraigal, Gamipingal and the Garawerrigal. The people of the Wallis Lake area, called Wallamba, had one central campsite which is now known as Coomba Park. Their descendants, still living today, used this campsite 'til 1843. The Wallamba had possibly up to 500 members before white contact was made. The middens around the Wallis Lake area suggest that food from the lake and sea was abundant, as well as wallabies, kangaroos, echidnas, waterfowl and fruit bats. Fire was an important feature of life, both for campsites and the periodic 'burning ' of the land. The people now number less than 200 and from these families, in the main, come the Tobwabba artists. In their work, they express images of their environment, their spiritual beliefs and the life of their ancestors. The name Tobwabba means 'a place of clay' and refers to a hill on which the descendants of the Wallamba now have their homes. They make up a 'mission' called Cabarita with their own Land Council to administer their affairs. In 1788 there were about 300,000 Aborigines in Australia. They were divided into over 500 tribes, each with its own distinct territory, dialect, customs and history. The Aborigines were hunters and gatherers who wandered within their own territory in response to seasonal availability of food, so that the lands' resources could be naturally replenished. For example, the coastal tribes of New South Wales would move inland during winter to hunt, then back to the coast in spring and early summer to fish. The Worimi was divided into a number of nurras. (Nurras were local groups within tribes, each occupying a definite locality within the tribal territory). Location of these tribal territories is not known accurately because of extensive de-tribalisation that occurred after European settlement. Garuagal (between the mouth of the Hunter River and Maitland). Maiangal (along the southern side of Port Stephens). Gamipingal (along the northern side of Port Stephens and the Karuah River to Tea Gardens). Garrawerrigal (between the Myall River and the seashore). Buraigal (between Karuah River and Paterson). Warringal (between Telegherry River near Barrington Tops and Pipeclay Creek near Nabiac). Birroongal (on the Myall River). Yeerungal (around the Myall Lakes). Wallamba (in the Wallis Lake area). The nurras were sub-divided into small groups which were probably based on the extended family unit. Captain Cook noticed the presence of Aborigines in the Myall Lakes area when he sailed along the coastline in 1770 and named it Cape Hawke. However, the first contact that Aborigines had with white people wasn't until 1790 when five convicts escaped from the Second Fleet. 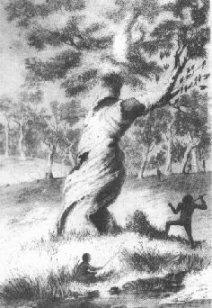 They were "adopted" by Aborigines in the Hawks Nest area, who thought that they were spirits of ancestors who had returned, and lived with them until recaptured by Captain William Broughton in 1795. In 1816 cedar getters and their convict servants started arriving in the Myall and Manning areas. Their impact was devastating and caused an early dispersal of the tribes. As a result of this dispersal, the tribal boundaries ceased to be observed and the Biripi and Worimi intermingled and camped in the same territory. When the Australian Agricultural Company established its headquarters at Carrington in 1826, the Aborigines were treated kindly. They migrated toward the settlement, and began to learn the white man's ways and language, and were employed in many tasks in exchange for food. However, this migration reduced the number of Aborigines following a traditional life-style, especially around the lakes. 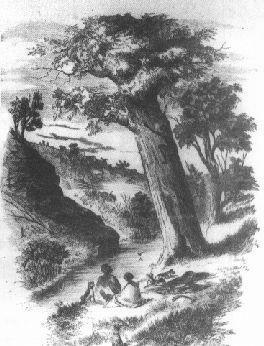 With the withdrawal of the Australian Agricultural Company from the lakes in 1832 and the arrival of settlers in the Manning Valley in 1831, conditions deteriorated rapidly for the Aborigines. They lost land, sacred sites and hunting grounds as settlers took up land grants. Wildlife dwindled as a result of the settlers' guns, timber-getting and cattle grazing. 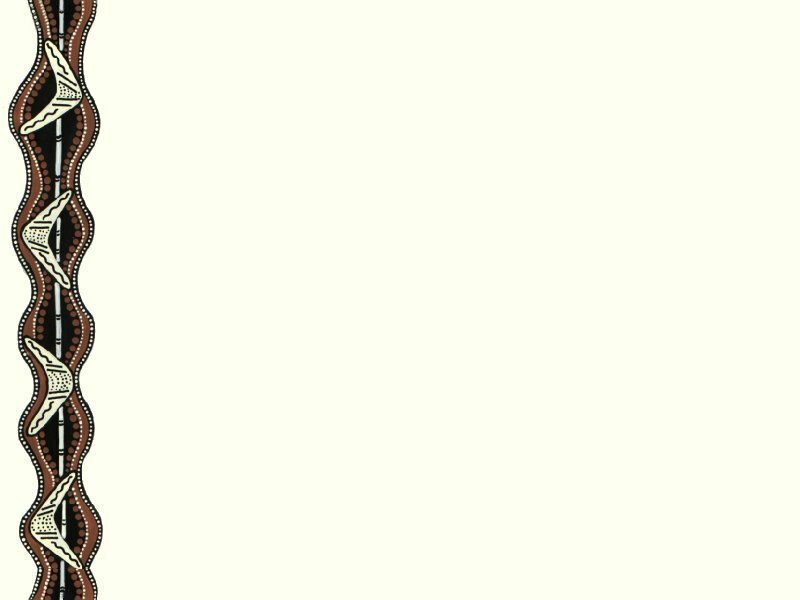 By 1840 the natural food supplies were almost exhausted. When the Aborigines, who were suffering from starvation, began killing stock to supplement their food supply, the settlers retaliated. Hostilities increased on both sides as Aborigines resisted being driven off the land and the settlers protected their properties and lives. 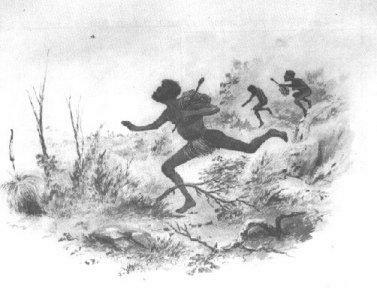 The Aborigines ambushed settlers, attacked isolated settlements and burnt crops, buildings and the countryside, while the whites retaliated with random shootings, massacres by settlers, government troopers and native police (eg hundreds were forced over the edge of a cliff at Mt Mackensie), poisoning of waterholes, and "gifts" of food laced with arsenic (known as the "Harmony" policy and widely practised throughout the Manning River basin, eg Upper Gangat, Wingham and Bellbrook). Under the two-Pronged invasion from the north and south, the Aborigines retreated or were forced into the rough north-western reaches of the Manning River and the ranges behind the lakes. When compulsory education for all children aged between 6 and 14 years was introduced in 1880, Aboriginal children enrolled in local schools. By the mid-1880's, however, there was a policy to educate Aborigines separately in their own schools where possible and in 1902 a regulation was issued which allowed a public school to be racially segregated if there were any complaints by parents. This led to schools being set up in Aboriginal reserves. For example, Forster Aboriginal School, which commenced in 1891 and changed its name to Tobwabba School in 1900, operated until 1952, and a Mission School operated at Purfleet Reserve from 1903 to 1952 and at Karuah Reserve from 1916 to 1954. These schools were staffed by untrained teachers who only taught up to 3rd grade level before the syllabus was extended to 4th grade in 1940. Rarely did Aboriginal students go on to High School. The Board's policy was for all Aborigines and part-Aborigines to live on reserves, regardless of whether they needed protection or not. It set up Aboriginal reserves in Forster in 1895, Karuah in 1898 and Purfleet in 1900, which the Aborigines were encouraged to farm to become self-sufficient. * It could order Aborigines to leave their campsites or town settlements to live on reserves under the control of a Superintendent. * Practising tribal customs and speaking their native language were forbidden. This resulted in traditional culture, history and language dying out. * Aborigines needed permission to enter or leave a reserve. * White people were not allowed to associate with Aborigines or enter the reserves. * The sale of alcohol to Aborigines was prohibited. * Aborigines were not entitled to Social Security allowances. * In 1915 the Board was given control of Aboriginal children and the power to remove them from their families for training and indenture as domestic servants and farm labourers. Girls were sent to Cootamundra Girls' Home and boys to the Aboriginal Inland Mission at Singleton or, from 1924, to Kinchela Boys' Home at Kempsey. As visits were actively discouraged, family members usually lost contact with each other. Apprenticeships ceased in 1940 when the Aborigines Protection Board was replaced by the Aborigines Welfare Board. However, control over removing "neglected" or "uncontrollable" children was merely transferred to the Child Welfare Department who placed them in children's homes for rehabilitation or assimilation, or, after 1957, fostered them with white families. This practice continued until 1969. * The Board shifted whole communities from one reserve to another so that it could close down a number of reserves and lease them to neighbouring white farmers. Between 1911 and 1927, almost half of the total reserve land in New South Wales was revoked. 75% of the land lost was from the North Coast and included independently settled Aboriginal farms, Wingham Reserve and almost half of Forster Reserve. * Aboriginal servicemen who had returned from World War I were not eligible for soldier settler land grants. * In 1918 the Board adopted a dispersal policy and expelled Aborigines who were not full-blood or half-caste from the reserves, on the grounds that they were not Aboriginal and should be part of the white community. As a result, the number of Aborigines camping on the fringes of country towns swelled significantly, but they were not accepted by the townspeople. Local Councils tried to move them on by using evictions, demolitions and jailings, and police and vigilante gangs imposed local curfews. 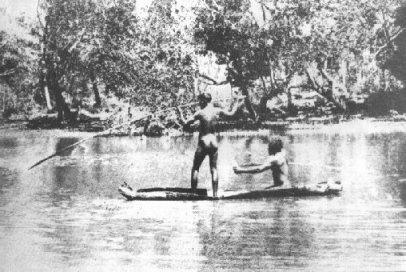 As they were not welcome at other reserves or towns, these "part-Aborigines" were forced to wander from place to place, often hundreds of miles from their traditional territory. This lasted until 1936 when the government recognised people with any mixture of Aboriginal blood as Aborigines. * After the failure of its dispersal policy, the Board introduced assimilation for adults. Aborigines and part-Aborigines were again concentrated on reserves to be trained to live in ways acceptable to the white community. This lasted from 1934 to 1939.